It’s the third week of December and I just spent a few hours in downtown Half Moon Bay wrapping up the last of my gifts and stocking stuffers. I’m getting this post out to you a little late this year, but it’s finally here! Last December’s post on this topic was so popular, I am doing it again. 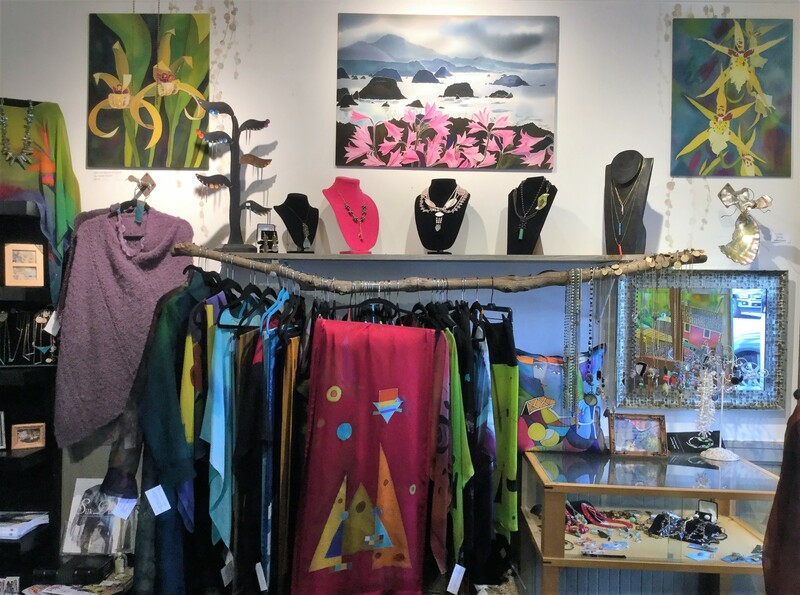 So without further ado, here is the second annual post about fun and/or unusual Holiday gift ideas from ten downtown Half Moon Bay business owners and enthusiastic employees. These are items that are either one-of-a-kind and/or unique to each local business. 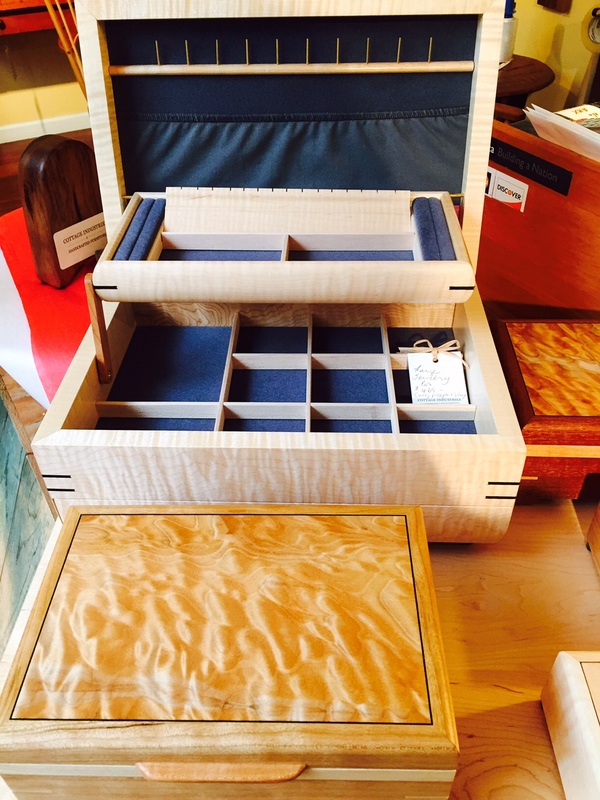 Cottage Industries – These one-of-a-kind handmade jewelry boxes made of cherry or maple woods in various sizes are stunning. 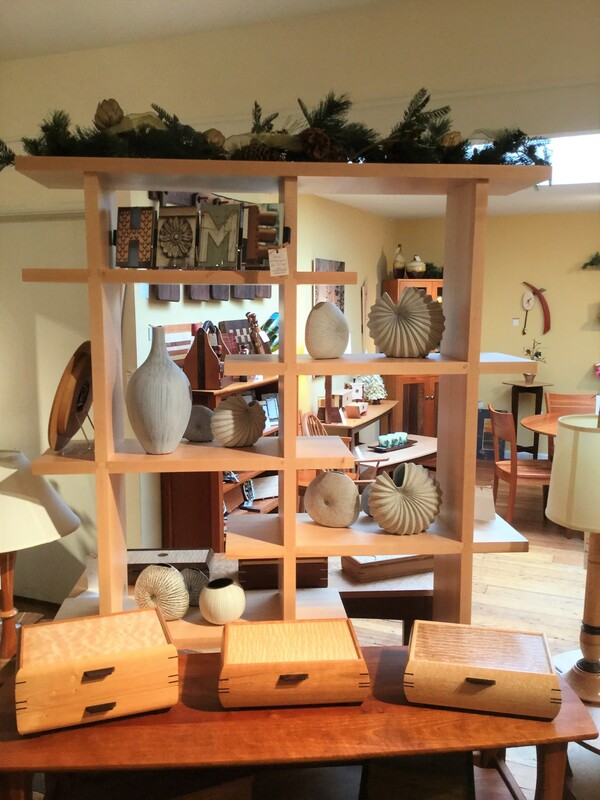 The beautiful shop also has a range of gifts from small treasures to stunning furniture. Toque Blanche – As Dave, a very knowledgeable employee, was showing customers how easy and healthy this simple popcorn maker was to use, they were literally being bought in twos…one for me and one for you. 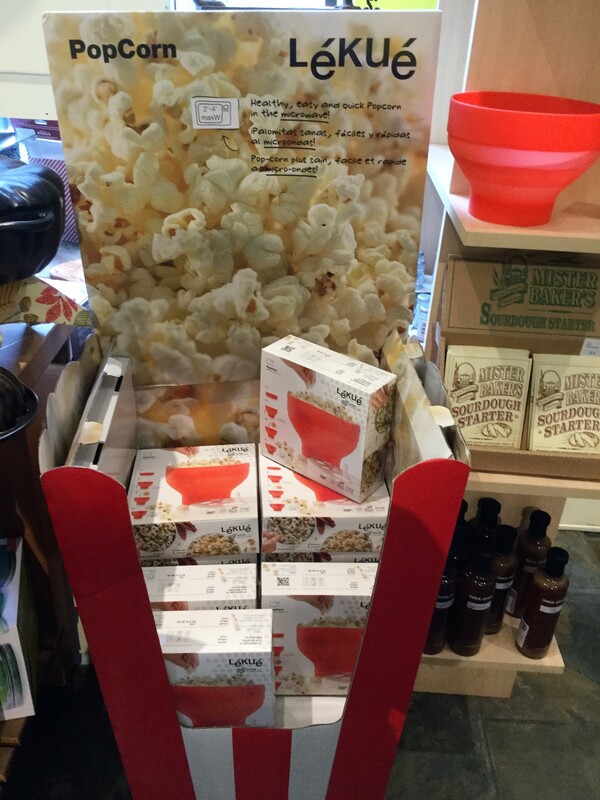 The Lekue popcorn maker does not need oil and uses raw popping corn, plus it’s collapsible and dishwasher safe. Add a favorite topping and enjoy. Silk & Stone – is a new Main Street shop this year run by a collaborative of very artistic local women. I personally know one of them, Nancy Wilder, who makes one-of-a-kind scarves, wraps, hats, gloves and more. The photos do not do justice to the work of the artistic talents in this shop. 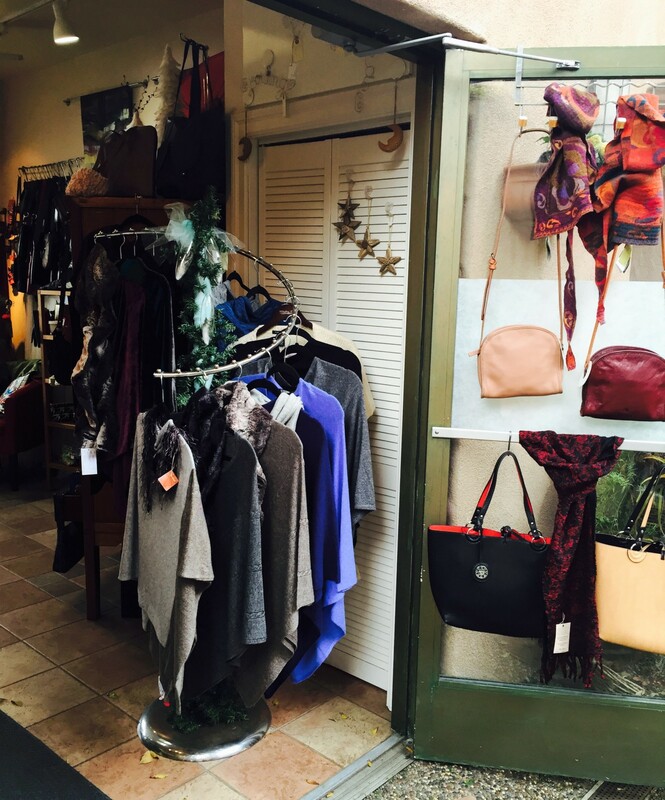 Studio 508 at 508 Main Street, right next to Mac Dutra Park, is another new shop in town! It is still ramping up its inventory but what is there is amazing. 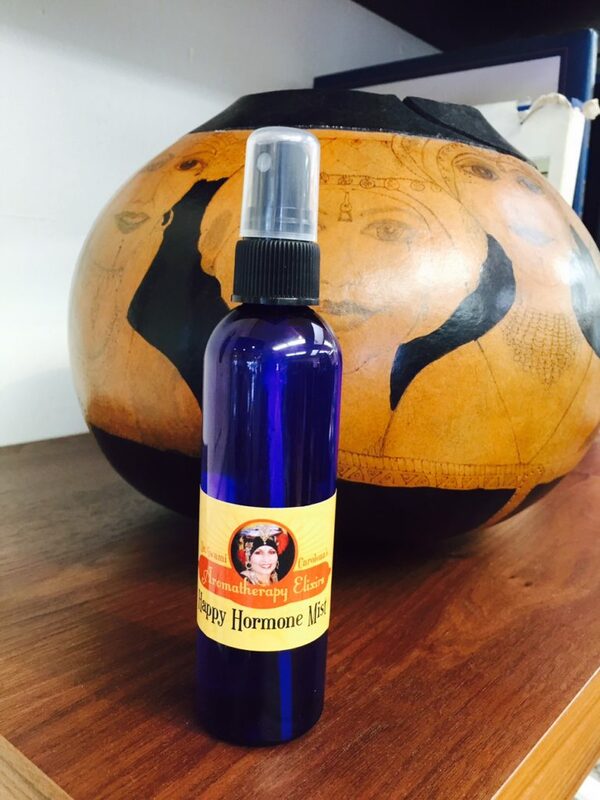 Carolena’s focus is Nakarali Jewelry, beautiful and comfortable clothing and other great gifts, including this Happy Hormone Mist. No further explanation needed. Half Moon Bay Bakery is a great place to stop in for specialty cookies, breakfast pizza, pumpkin and artichoke breads, fresh donuts, and to-die-for pies. I order 25+ pies from here to give as gifts every Thanksgiving. The peach pie is exceptional. 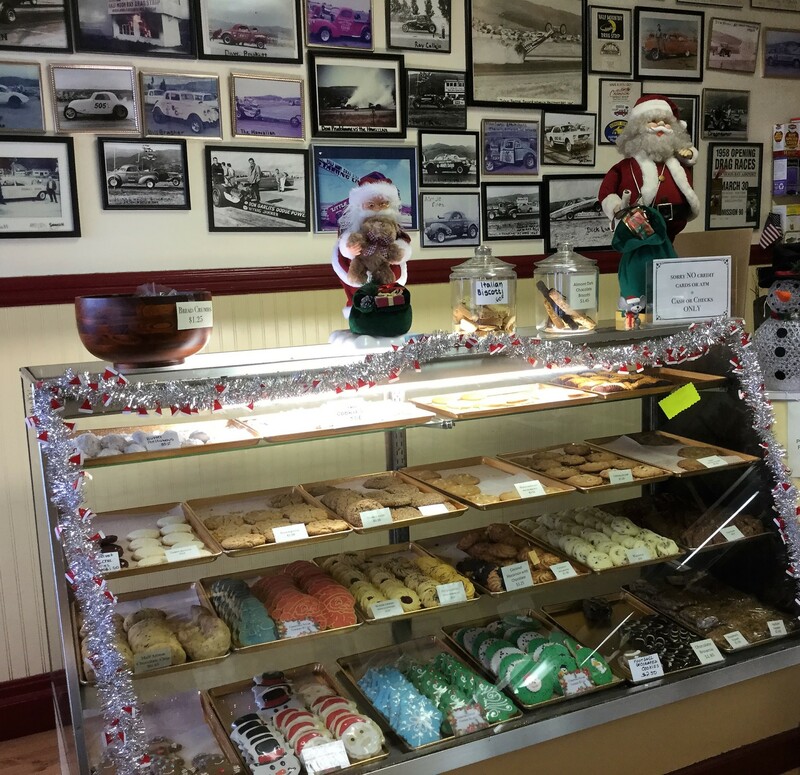 This 100+ year old fashioned bakery will remind you of childhood smiles. Bring the kids, young and young-at heart, for a treat. 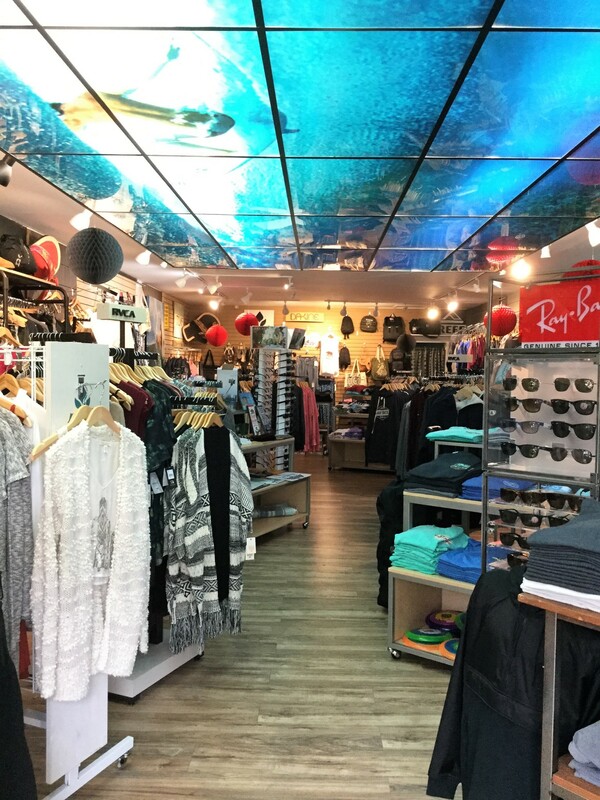 HMB Board Shop / Surf Factory – This company’s newest shop on Main Street opened within the last year. The shop employee told me that this sweatshirt was one of their best sellers. Also, check out the creative ceiling in the second store photo below. There is no need to go over the hill for UGGs, sunglasses, and beach related stocking stuffers. 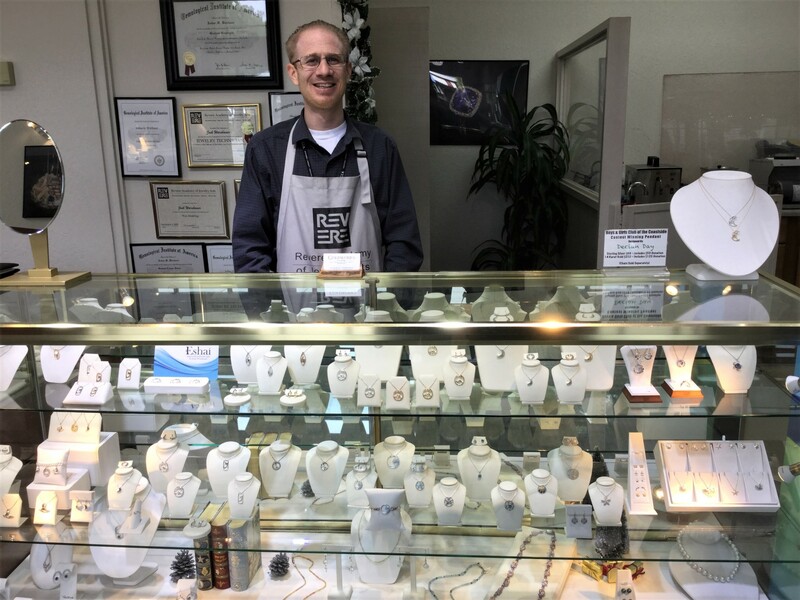 GOLDWORKS Fine Jewelry – This family owned jewelry store has a reputation for quality gem stones, service and design. They also design jewelry for local fundraisers. 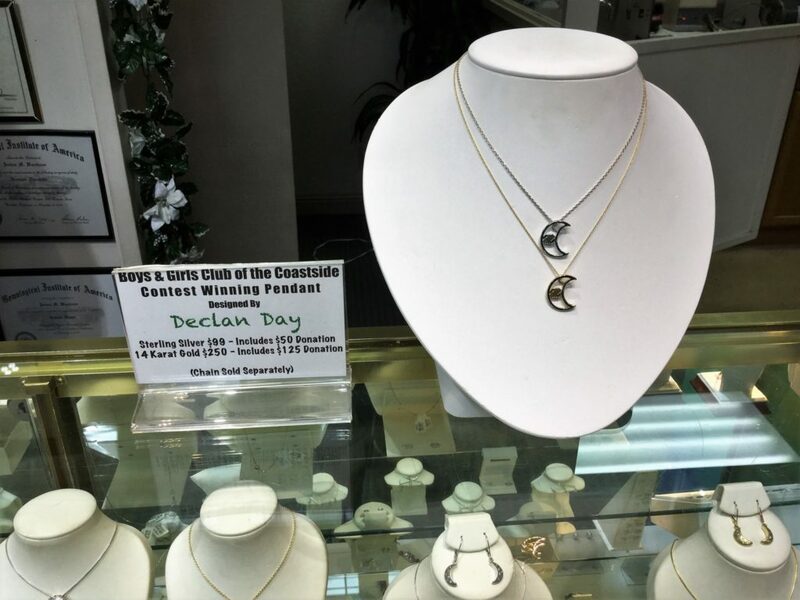 Below is the necklace for the Boys & Girls Club of the Coastside. The second photo below is of the case displaying custom designs. Jewelry lovers can also create a wishlist if you want someone to know what you like…hint, hint. 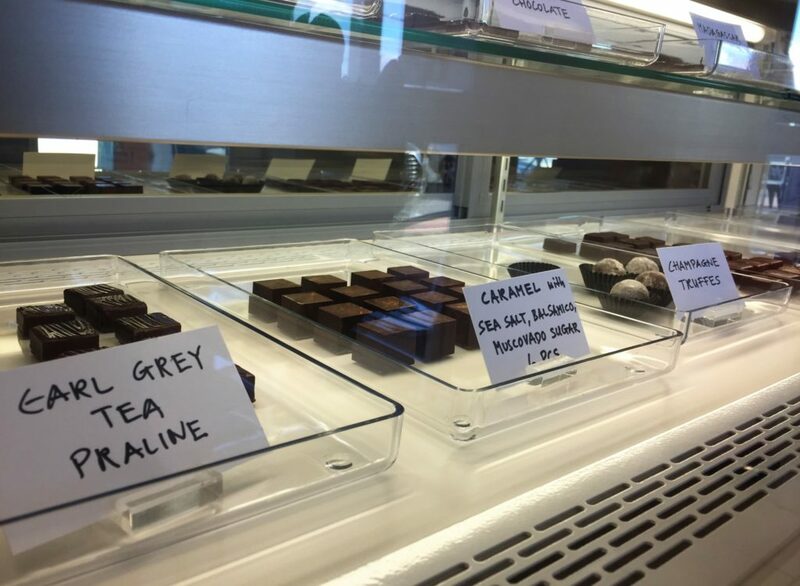 Sweet55 – I love this quote from the owner “In order to be on fire, you have to burn for something.” You can feel the passion for chocolate and design when you see the beautiful confections on display in this small shop. 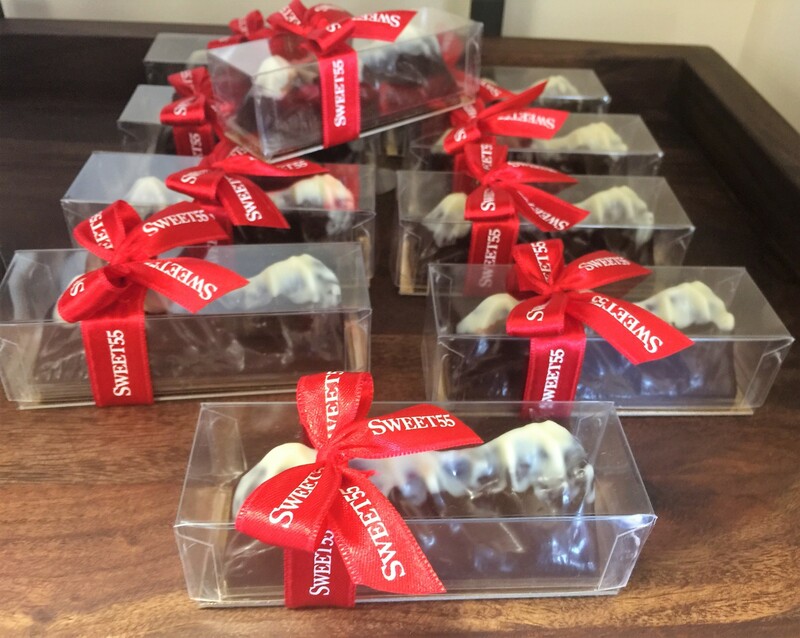 If you love swiss chocolate, this is a must visit for a small gift or to make arrangements for an event. 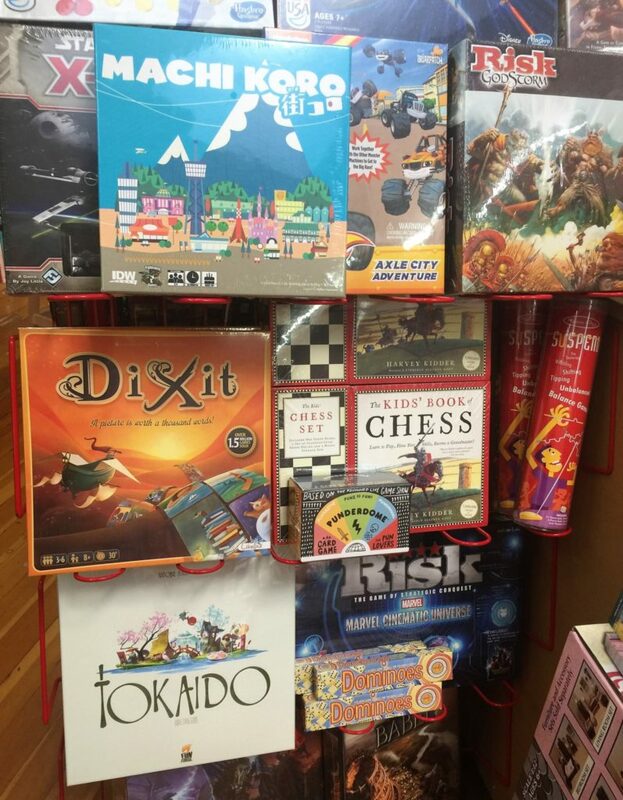 Located in Shoreline Station shopping area off Highway One at Kelly Ave.
InkSpell Books is more than a bookstore. 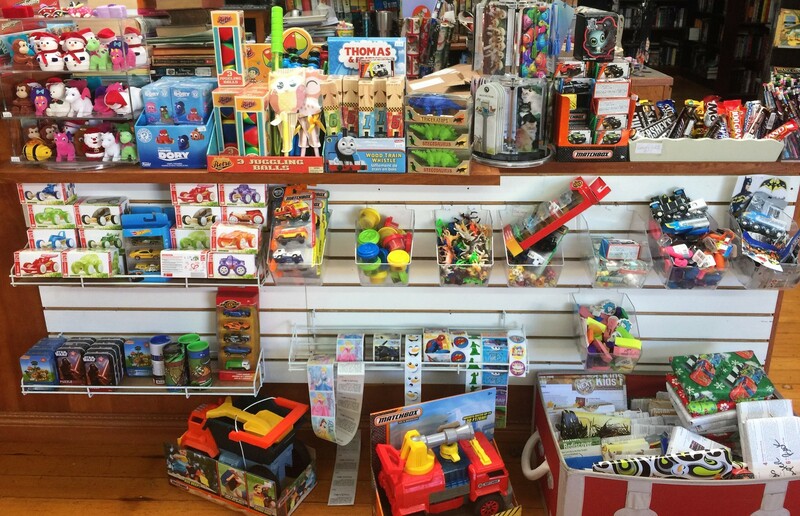 It is a gracious host to community events and fundraisers, a toy and game store, and it offers used as well as new books. 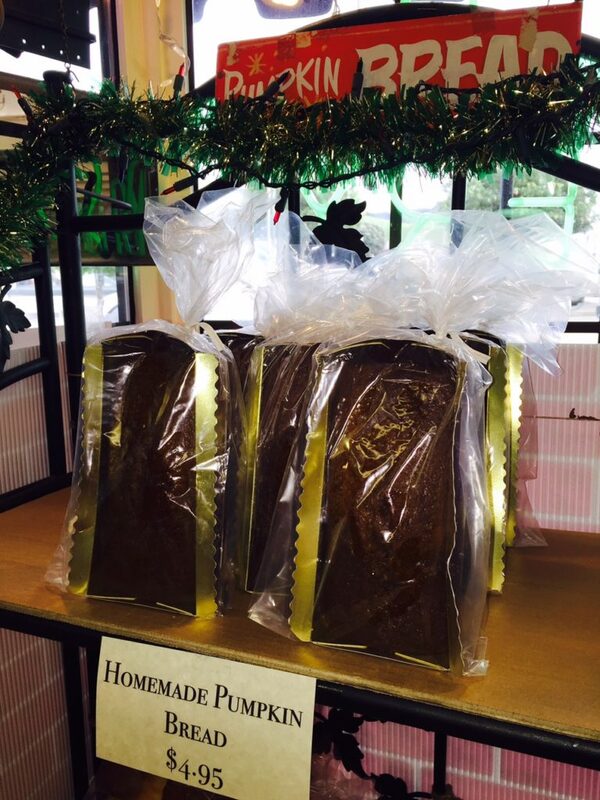 Great place for stocking stuffers and birthday gifts. 500 Purissima Street, one block off of Main Street at Kelly Ave. 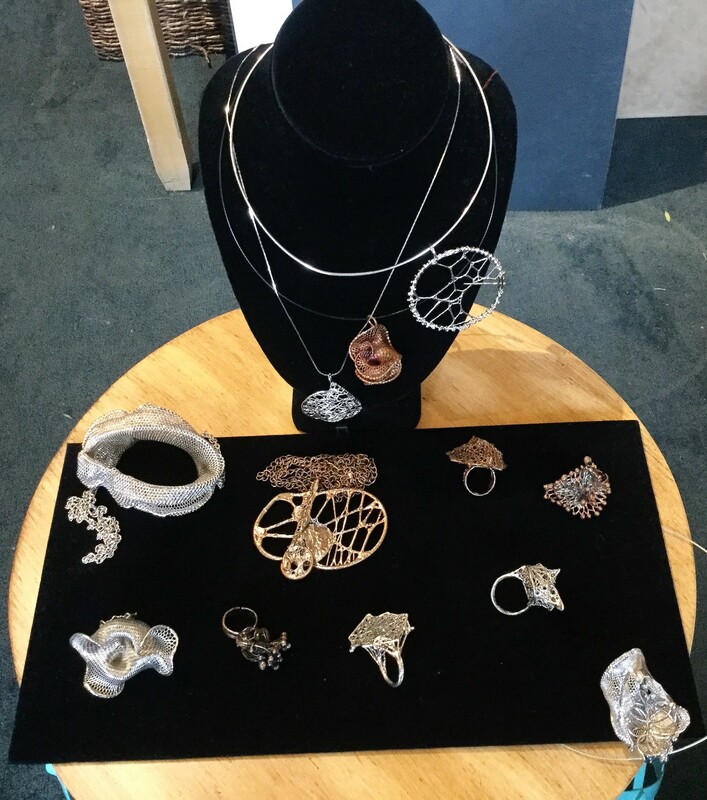 Personal FX is one of my favorite stores in Half Moon Bay because there is so much to see you can find something different and unique with each visit. 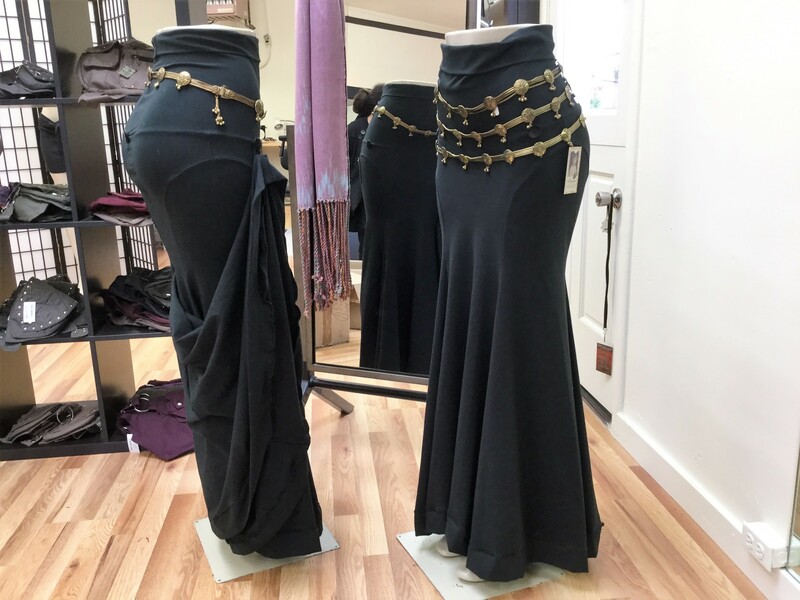 Kathleen Bristol, the owner and designer is a very creative person who can help you select just the right item for your needs. 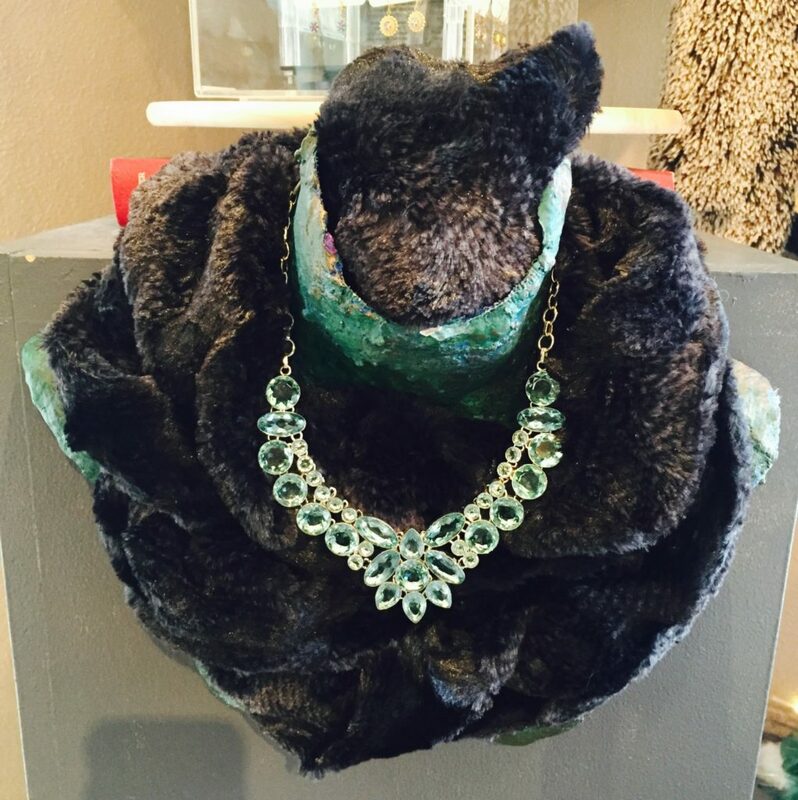 The piece in the picture below is FauxFur by Pandemonium in Seattle topped with a gorgeous Apatite stone Bib Style necklace. 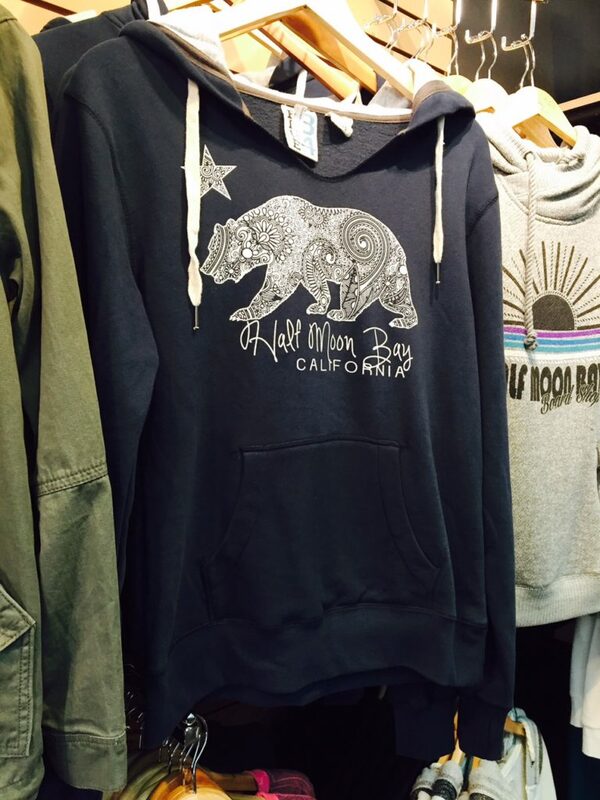 Next time you are in downtown Half Moon Bay, stop in one of these great businesses while you are Elfing about.